My enduring and long-standing passion for food and cooking has recently turned to improving our kitchen efficiency. This sounds awful and not about deliciousness, but it is. It is about reducing waste, using smart ways to cook more efficiently and most importantly turning left overs from worthy but not that satisfying meals to truly special dinners. Just because there are only a few of us, doesn’t mean we can’t make meals as if we were a huge family, I just need to be clever about it. It takes planning for a small family to cook well without wasting things. Sure I could just buy portions, rather than a whole chicken, and I could forgo food like slow roasted lamb shoulder, but I won’t. Essential to my recent efforts is the idea that I could do better. Cook better, plan more successfully and have routine dishes that follow on from one another. I am less successful with a strict menu planner with a week’s worth of recipes to shop for and cook. I need more spontaneity than that. I need to be able to see bargains at the markets, then plan around what I’ve sourced. While I usually make everything from scratch, stock, tomato puree made by my indefatigable husband who processed hundreds of tomatoes over summer, home grown veg and herbs, with very few processed foods, I have improved on this lately by creating meals in a series. This works particularly well in cooler weather. I will be working harder in summer to continue this project. Let me give you an example. (Look away vegetarians). Our family is small. Three people, one of whom may or may not eat dinner with his parents. A leg of lamb feeds 6 or 8 people. Lamb is expensive, you can reduce costs by buying from the farmer, which we do. What I really needed was a way to use the leftovers in a more sophisticated way. I hate cold lamb, hate it with a passion and will not eat lamb sandwiches. Introducing lamb pilaf – I started with recipes that were designed to use up leftovers, but a bit of research lead me to Azerbaijan’s national dish, delicious and fragrant with saffron. What I did then was modify the recipe. The roast lamb is already cooked, so I add it – scattered on the top of the cooking rice – only at the last moment, so it is warm but not more cooked. I also force myself to cut up the lamb straight away after dinner (or more frequently, ask my lovely husband to do it) and put it in the fridge ready to go. Planning, planning, planning. Roast lamb Saturday night. Pilaf Sunday night and lunch Monday. Tick. Tick. Tick. Thrifty and low effort. Some of my more recent meal series are more elaborate. There is a rice recipe in Plenty More, Ottolenghi. I could eat it every single day of the year, I love it that much. It’s easy, a few ingredients, some of which can just live the freezer until it’s time. Then I discovered this chicken dish, Lebanese Chicken and Rice. This dish has similar flavourings to the Lemon and Curry Leaf rice. The Lebanese Chicken is made by poaching the chicken and the resultant stock is not all used in the final dish. Saturday night make the Lebanese Chicken, a family winner. Reserve the left over stock – measure it exactly for the rice recipe. Freeze. 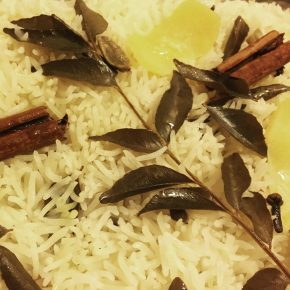 When it is time for Lemon and Curry Leaf rice, use the frozen stock as the base for the rice rather than water. It has an improved depth of flavour and takes no more time and makes full use of the chicken. No wastage. 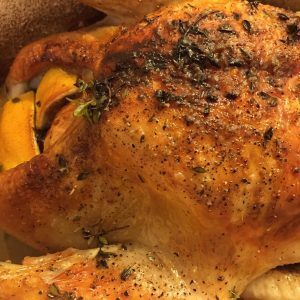 Roast Lemon Chicken is another dish on high rotation in my kitchen. Without a chicken, the weekend is fine, but it just feels a bit off kilter. Roast a chicken. 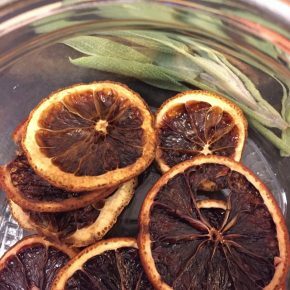 I like to use lemon and thyme, perhaps sage, or tarragon when I have some. I also like to roast chicken with a pool of white wine in the base of the casserole. Enjoy delicious chicken for dinner. Then straight after dinner, strip the remaining chicken from the bones and put in the fridge, then make stock from all the bones in the pot you cooked the vegetables in – be careful to remove all the herbs and lemon from the cavity or the stock will be bitter. Then leave the stock quietly simmering on the stove while you watch a movie or RockWiz or what ever it is people watch on Saturday night. 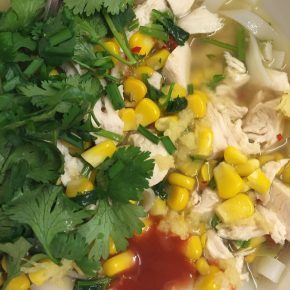 Next night make this soup with noodles, some corn, coriander and chilli or indeed if you want the chicken to go even further make Chicken, lentil and kale soup. You have already cooked the chicken, you have made stock while you watched tv, and the lentils take a short time to cook. The left over chicken will make two dinners – or even soups for two grown up people and one small person’s chicken noddle soup – as well as two lunches. Less waste, more taste. Less work in the kitchen. My newest favourite idea which is gaining momentum is a pasta bake on Thursday nights. We shop at the markets on Saturday. By Thursday night, the fridge is often full of odds and ends, a few of this, a bit of cheese, a handful of this, handful of that. 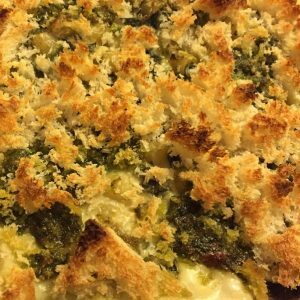 Most of that will go with pasta, particularly if it is then topped with left over bread made into crumbs and topped with parmesan or better yet other delicious melty cheeses. By Friday night I am aiming for a near empty fridge, ready for the next day. Last week it was a small amount of bolognese based sauce (one serve for small boy for dinner) with silverbeet and kale added to it and stirred through pasta elbows and topped with bread crumbs and cheese. I aim for a single two person serving. Use all leftover vege and other ends but not too much pasta or sauce so it fits neatly into a small pyrex baking dish. This week it was mushroom, kale and cheese sauce with tiny bit of left over bacon. Topped with primo sale – which is a fresh cheese that softens rather than melts. Left over stale bread turned into rough crumbs – I didn’t even bother to dry them first. This new addition to the routine gives me something to work towards for the end of the week. Soup of veges and lentils is also a good way to turn nothing into something, particularly if there is stock and pulses on hand, you can make anything. I am working to increase my base recipes made from what is to hand repertoire so I can use everything up. Feels satisfying, will make full use of costly protein and other nutrient dense foods, and is simpler that trying to think through options when I’m busy. I now have options for post roast meat dishes, I have ideas for Thursdays, I have lunches at the ready. While I love the idea of Nigella’s pantry, particularly that scene from the early series of her throwing open the enormous space full to the ceiling with glass jars and natty bits in snap lock bags, it is wasteful. It uses too much plastic for one thing and it encourages shopping for particular specific meals. This is fine for special celebrations but for every day more thrift is my new goal. Use what is on hand. It takes water to grow food. It takes effort to make a garden. I am working to make full use of my resources.